Rita Maldonado-Bear is Professor Emerita Finance and Economics at New York University Stern School of Business. She has been with Stern since 1975, subsequent to her visiting professorship at Stanford University School of Business. She represented the Stern School at the University Senate for nine years prior to her retirement. Professor Maldonado's research interests include international portfolio diversification and the balance of payments accounting. 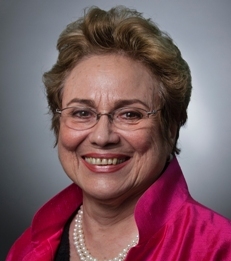 She has served as a consultant to the Association of Reserve City Bankers, Swedish Institute of Management, North East Regional Office of United States Occupational Safety and Health Administration (OSHA) and others; she has served as director of Medallion Funding Corporation (NY) and as a specialist in corporate financial development to Empresas Master Enterprises of Puerto Rico. After a leave during 1989 and 1990, Professor Maldonado-Bear returned with updated practical corporation finance experience and a renewed desire for teacher-student mutual growth experiences. In February, 1991 she was appointed to the advisory Board on Equity and Diversity in Educational Environments to the Middle States Council on Higher Education. Professor Maldonado-Bear holds an A.B. from Auburn University and a Ph.D. from New York University. "The Securities Industry and The Law"
"Price Behavior of International Cross Listed Multinational Firm's Stocks"